This entry was posted on Saturday, November 15th, 2008 at 8:27 AM	and is filed under Ancient. You can follow any responses to this entry through the RSS 2.0 feed. You can skip to the end and leave a response. Pinging is currently not allowed. I am really surprised. Wasn’t he the guy that had some strange medicine on him? A de-wormer of sorts? I can’t remember. He had a type of mushroom with him which is known to have antibacterial properties, but I don’t know if it’s a dewormer too. Scientists actually found whipworm in his intestines, so could be. Honestly, I’m not THAT surprised. The black plague came after Otzi, and it did a “fair bit” of damage to Europe. If the K1 haplotype was as rare then, as it is now (~8%) then it’s possible that a branch or two of that type was wiped out during that period. That makes sense. I wonder how many other haplotypes got buboes and died. Good question. Sounds like a very interesting, and potentially useful, project. I’m not sure if the Bog People found in the sphagnum bogs have intact DNA which can be haplotyped, but if they can, it would serve as one source of testable DNA. Oh good idea. 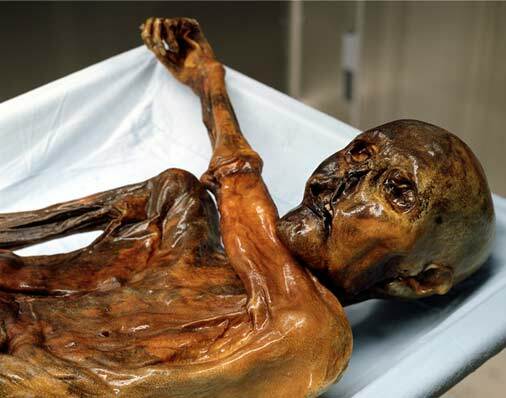 There are all kinds of different natural mummies out there that might have testable DNA. A historical European genome project could tell us so much about the history of the continent, not to mention its scientific/medical, value, like that thing about the gene variant that protects from HIV. Yeah, hahaha anyway, good job on the site!! 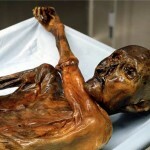 Did you find this entry about the HD pictures of Otzi? That might be useful for your school project. Glad you like the smilies. che schifo poveretto sembra un pollo a rosto..